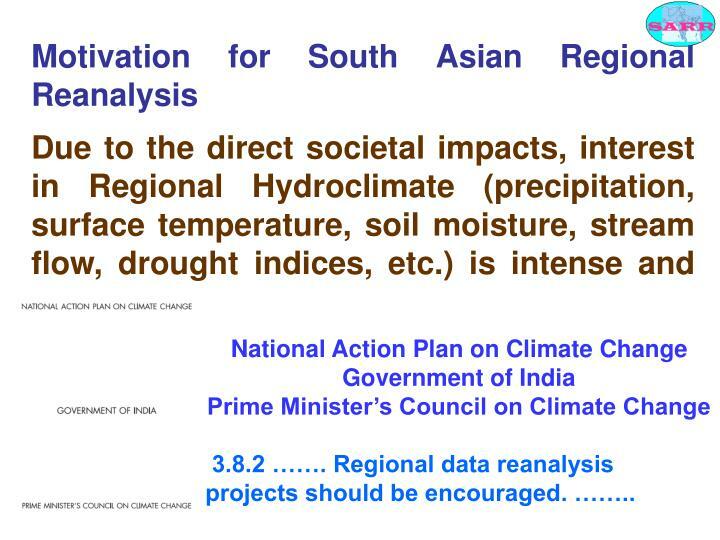 Due to the direct societal impacts, interest in Regional Hydroclimate (precipitation, surface temperature, soil moisture, stream flow, drought indices, etc.) 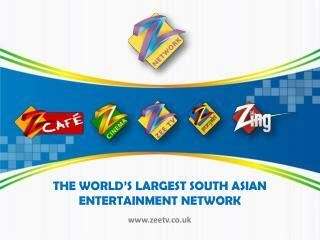 is intense and growing. 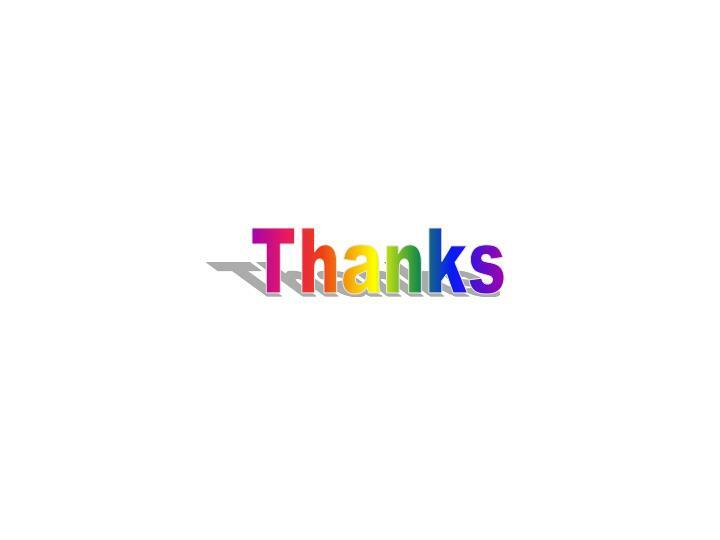 3.8.2 ……. 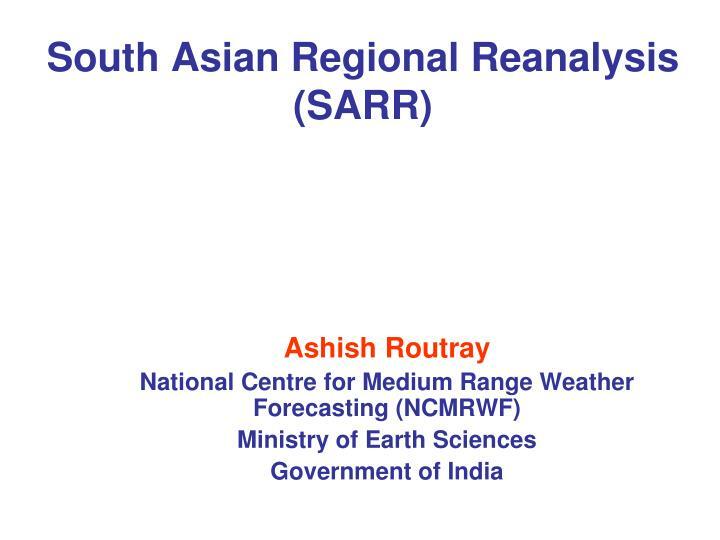 Regional data reanalysis projects should be encouraged. 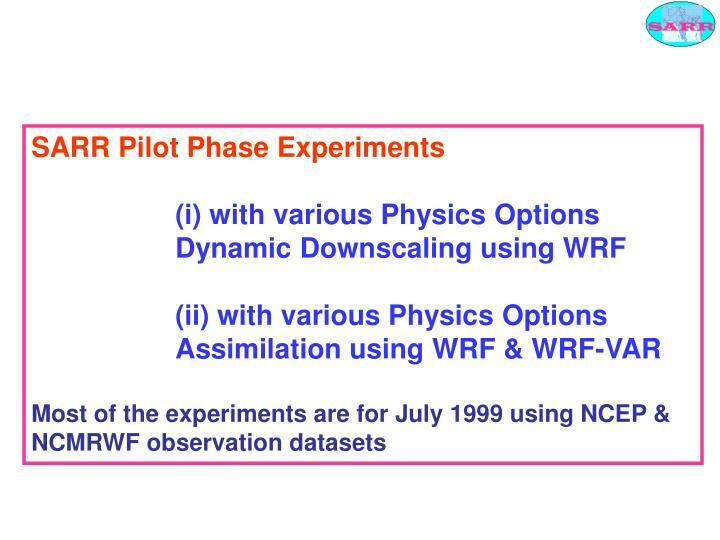 ……..
Refinement in methods of precipitation and radiances assimilation. 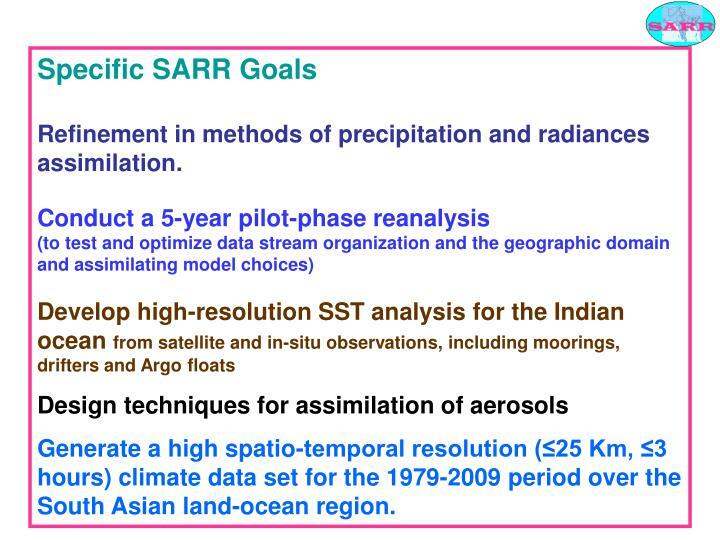 Generate a high spatio-temporal resolution (≤25 Km, ≤3 hours) climate data set for the 1979-2009 period over the South Asian land-ocean region. 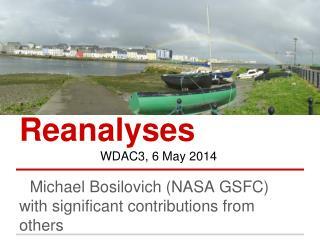 Provide MoES full access to the archived observations used in the global reanalysis projects. 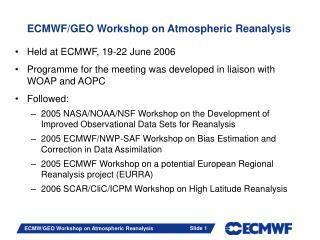 Provide technical help, training, and guidance in organization of data streams and in the implementation of the regional reanalysis model. 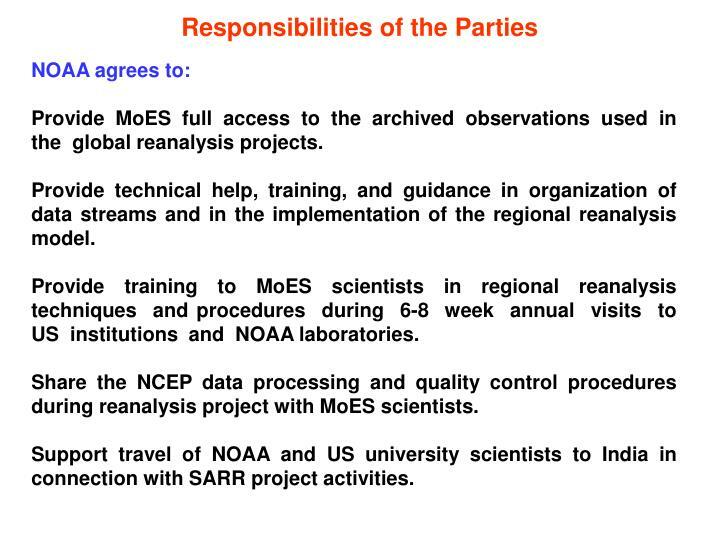 Provide training to MoES scientists in regional reanalysis techniques and procedures during 6-8 week annual visits to US institutions and NOAA laboratories. 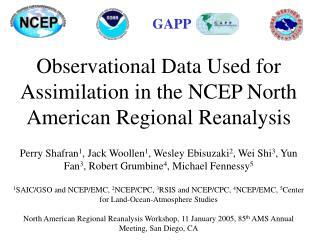 Share the NCEP data processing and quality control procedures during reanalysis project with MoES scientists. 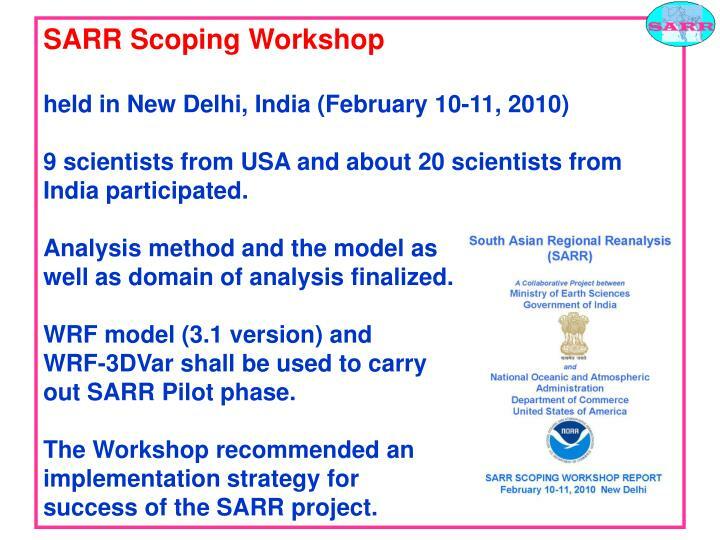 Support travel of NOAA and US university scientists to India in connection with SARR project activities. 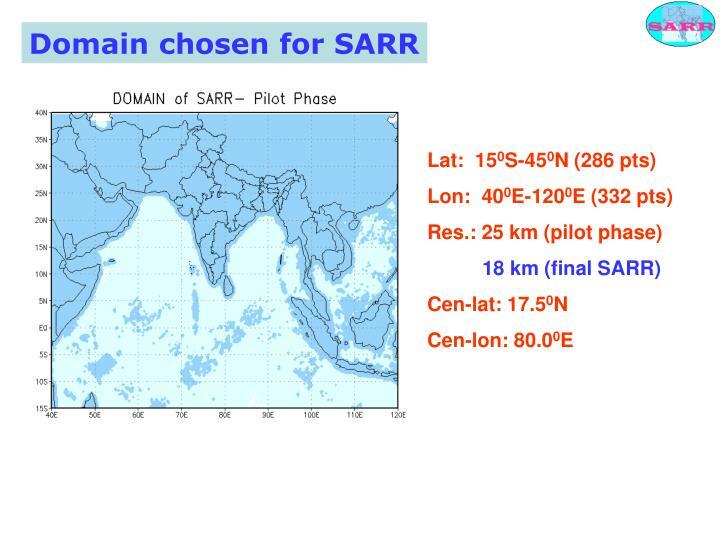 Provide NOAA full access to all historical and current meteorological observations as per requirement of the project over the Indian subcontinent and Indian Ocean, including those from Indian satellites. 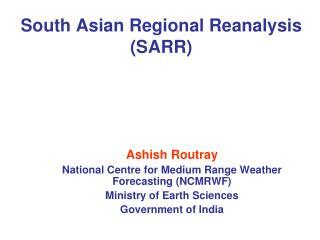 Execute the South Asian Regional Reanalysis project through NCMRWF. 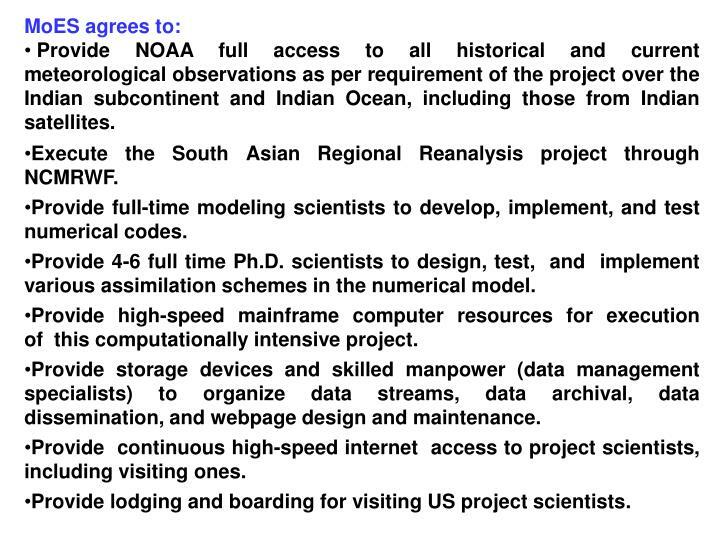 Provide full-time modeling scientists to develop, implement, and test numerical codes. 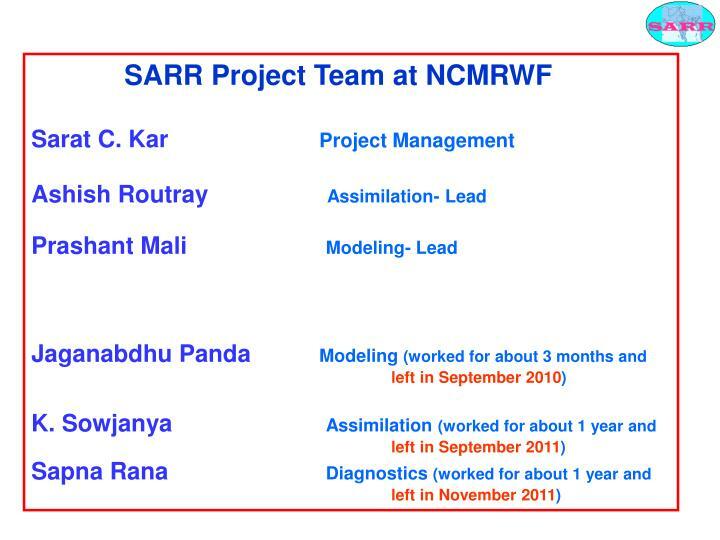 Provide 4-6 full time Ph.D. scientists to design, test, and implement various assimilation schemes in the numerical model. 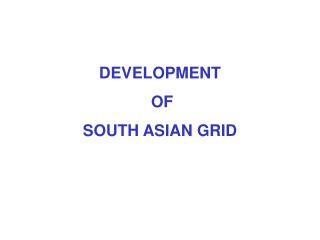 Provide high-speed mainframe computer resources for execution of this computationally intensive project. 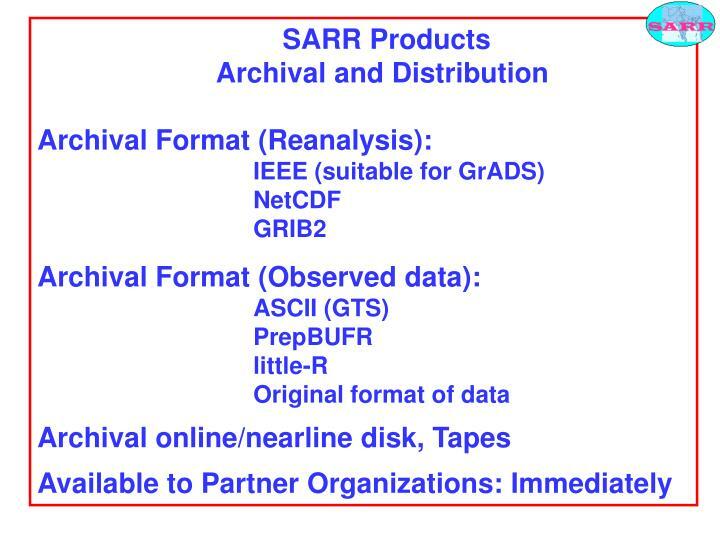 Provide storage devices and skilled manpower (data management specialists) to organize data streams, data archival, data dissemination, and webpage design and maintenance. 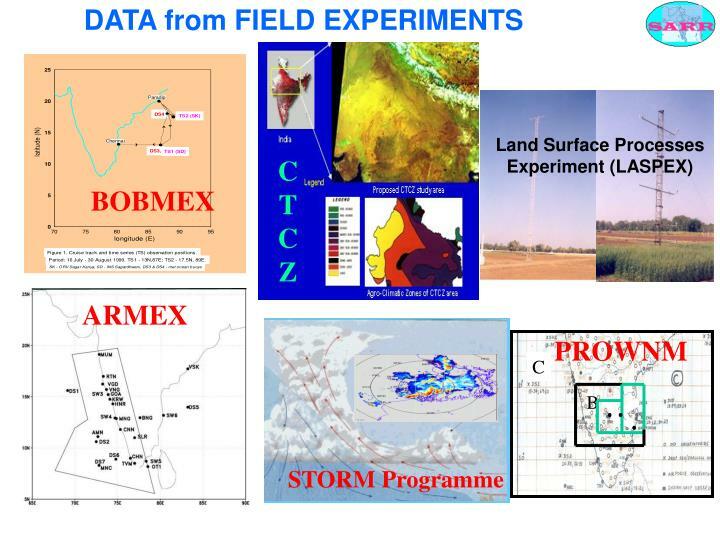 Provide continuous high-speed internet access to project scientists, including visiting ones. 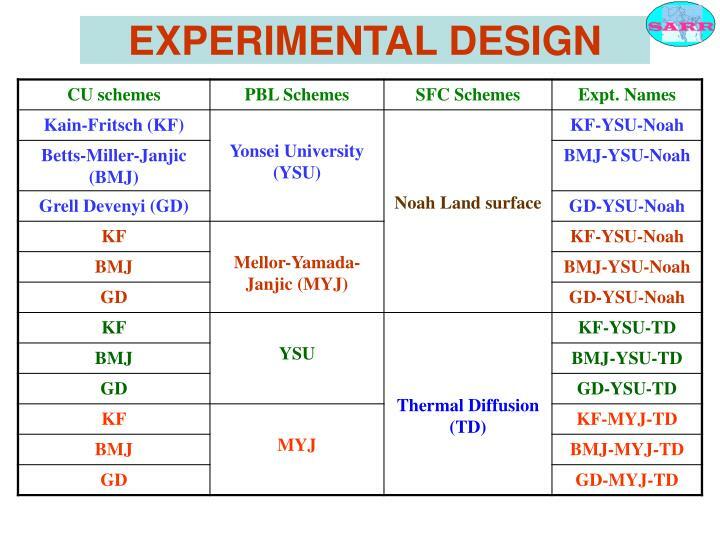 Provide lodging and boarding for visiting US project scientists. 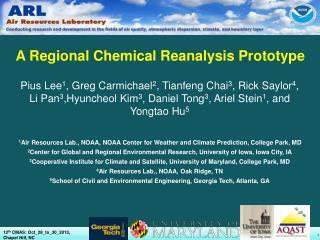 NOAA will provide training to 2-3 MoES scientists in regional reanalysis techniques and procedures during 6-8 week annual visits to the University of Maryland and NOAA's National Centers for Environmental Prediction (NCEP). 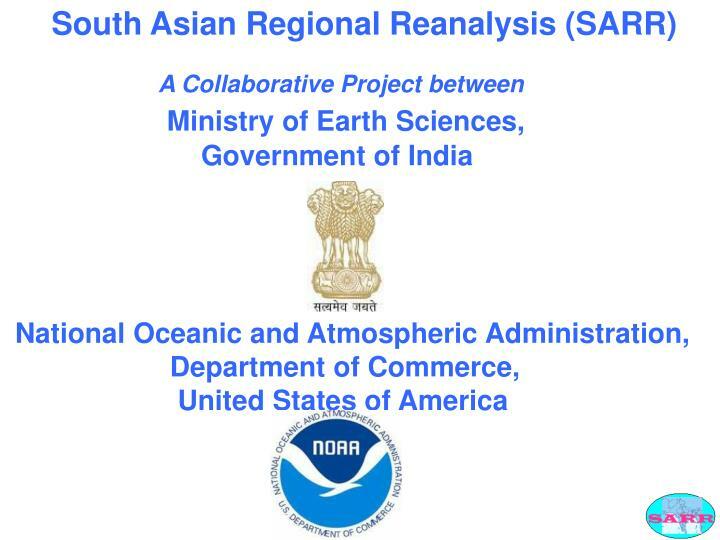 NCEP will seek resources and assistance from NOAA's International Activities office in meeting its responsibilities. 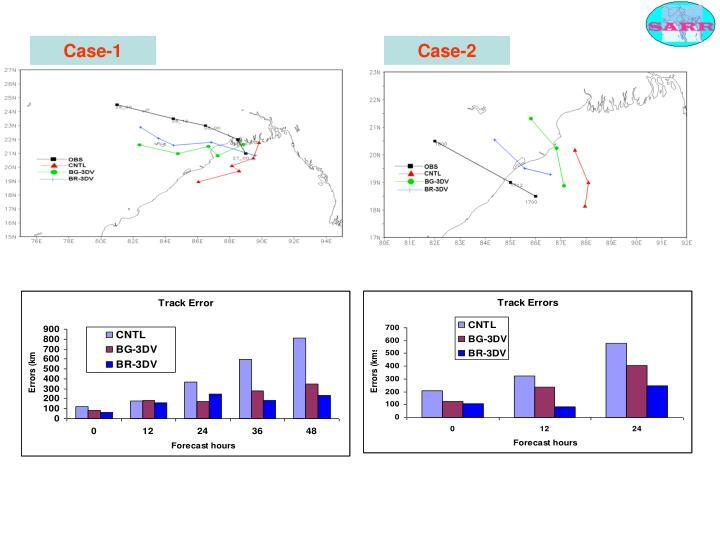 NOAA and MoES scientists will meet yearly to discuss the project's progress, and to strategize on how to best accomplish the project goals. 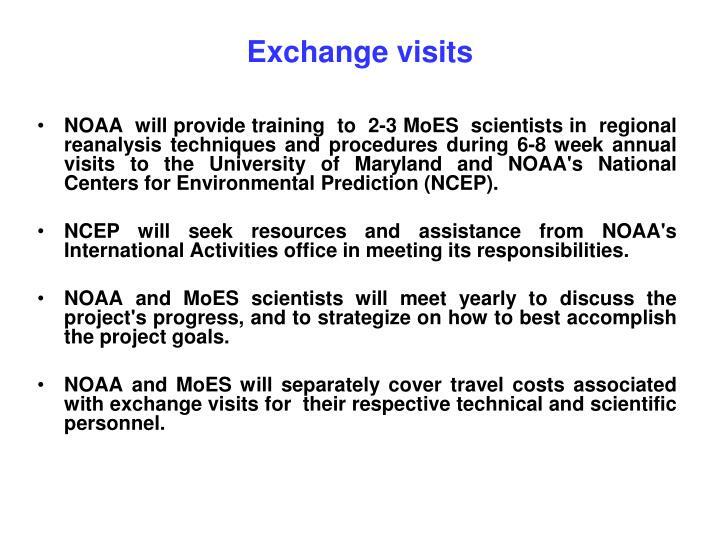 NOAA and MoES will separately cover travel costs associated with exchange visits for their respective technical and scientific personnel. 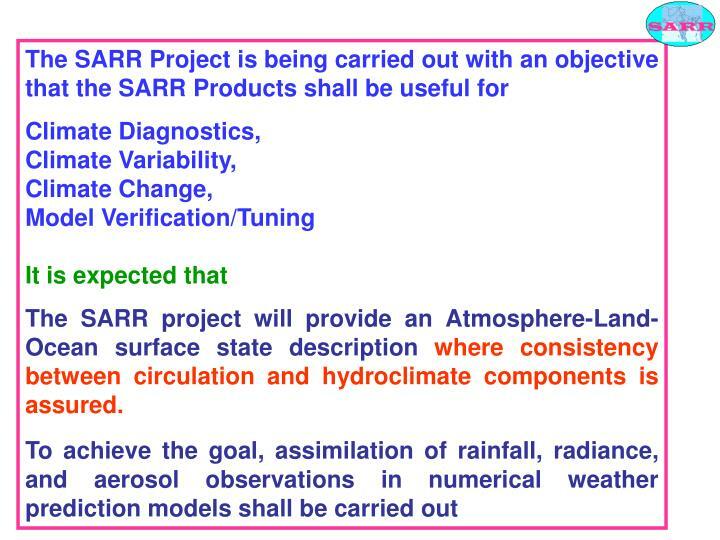 The SARR project will provide an Atmosphere-Land-Ocean surface state description where consistency between circulation and hydroclimate components is assured. 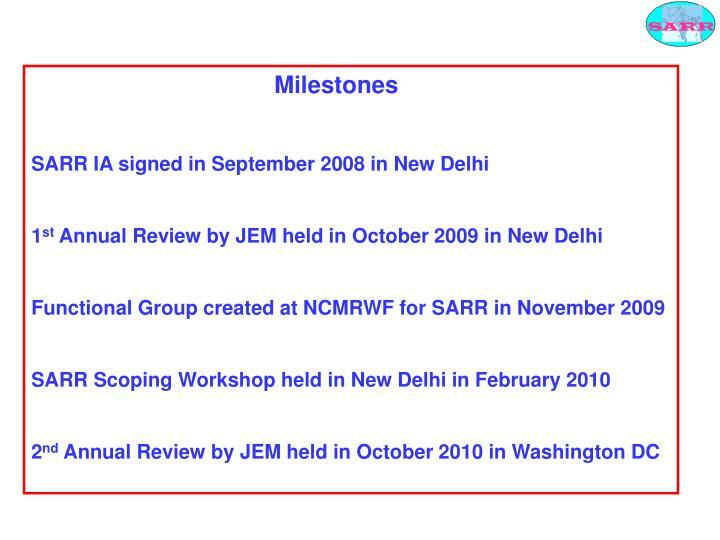 9 scientists from USA and about 20 scientists from India participated. 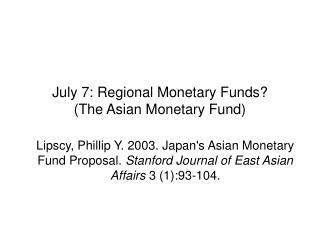 well as domain of analysis finalized. 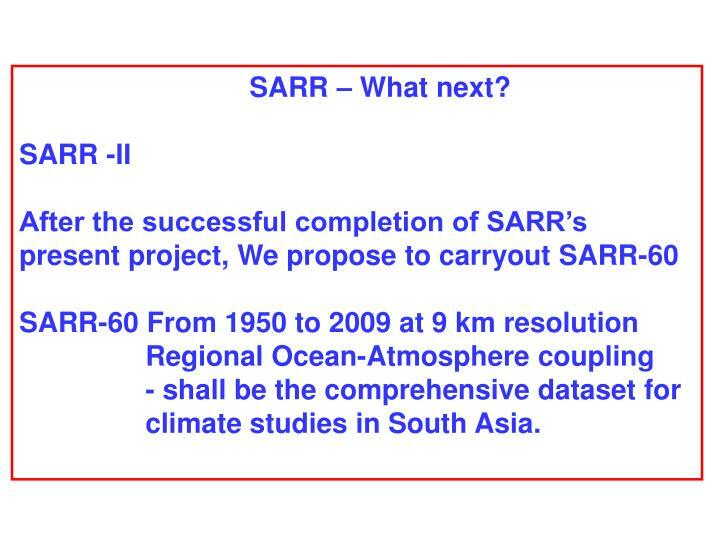 success of the SARR project. 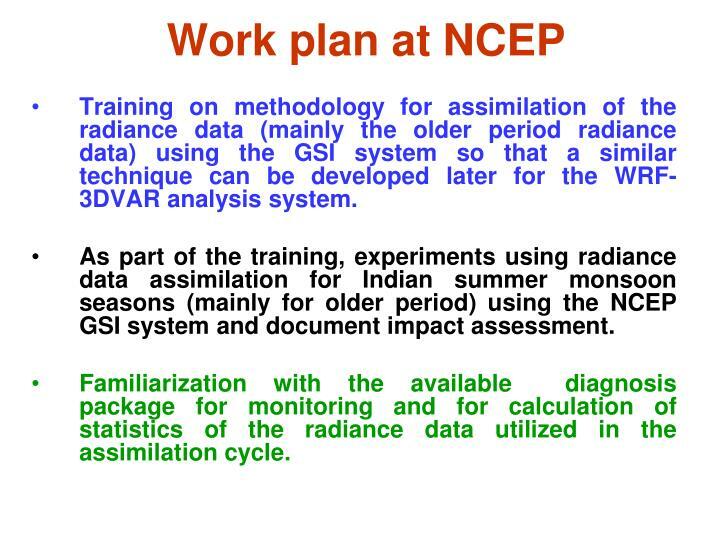 Training on methodology for assimilation of the radiance data (mainly the older period radiance data) using the GSI system so that a similar technique can be developed later for the WRF-3DVAR analysis system. 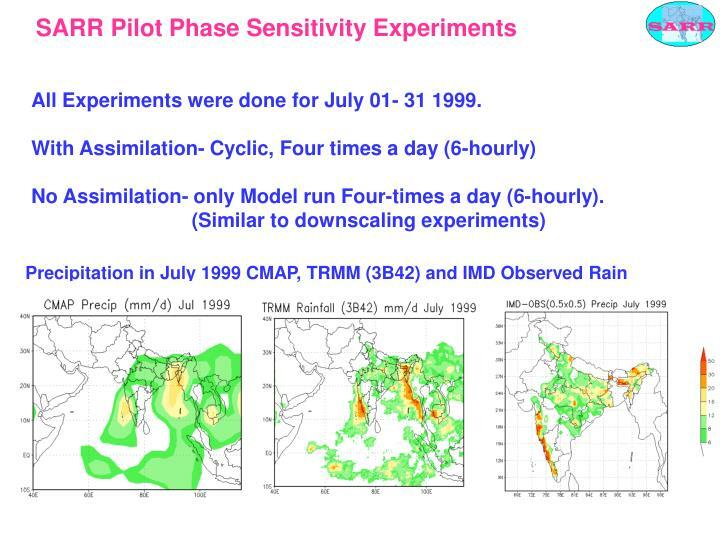 As part of the training, experiments using radiance data assimilation for Indian summer monsoon seasons (mainly for older period) using the NCEP GSI system and document impact assessment. 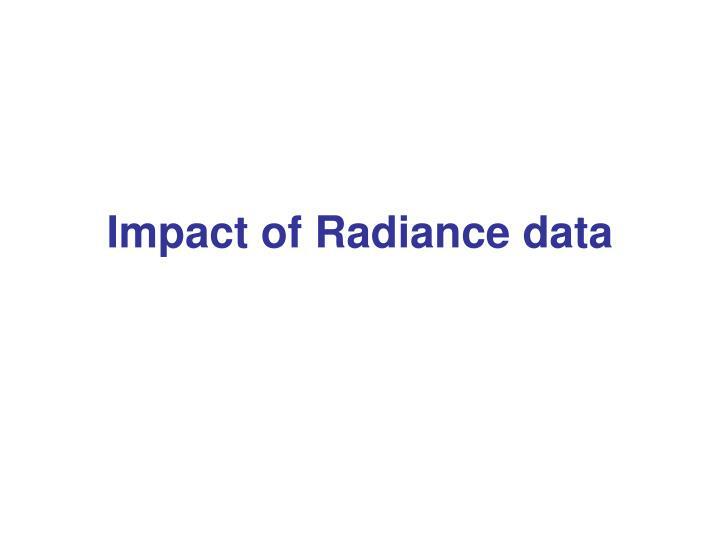 Familiarization with the available diagnosis package for monitoring and for calculation of statistics of the radiance data utilized in the assimilation cycle. 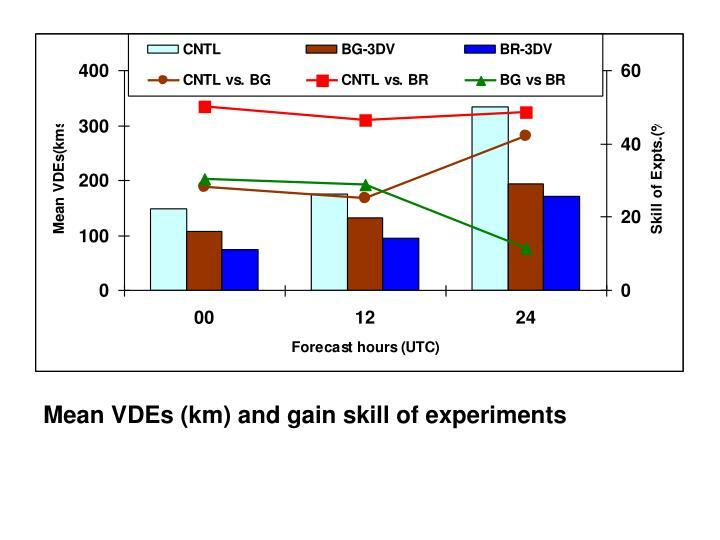 Several modeling and assimilation experiments have been carried out using past data. 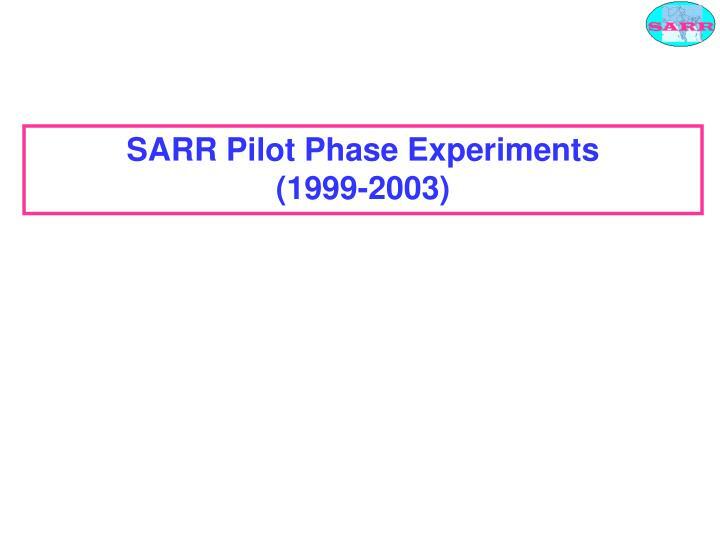 All Experiments were done for July 01- 31 1999. 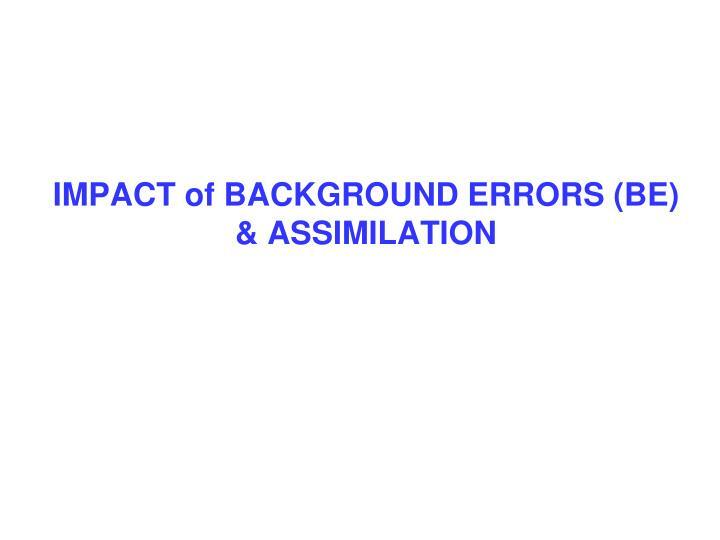 No Assimilation- only Model run Four-times a day (6-hourly). 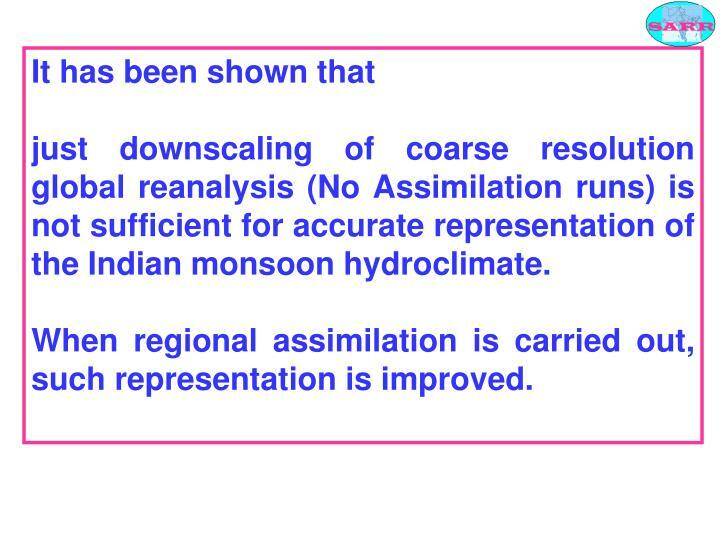 just downscaling of coarse resolution global reanalysis (No Assimilation runs) is not sufficient for accurate representation of the Indian monsoon hydroclimate. 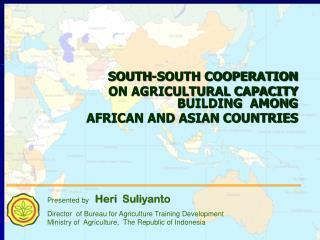 When regional assimilation is carried out, such representation is improved. 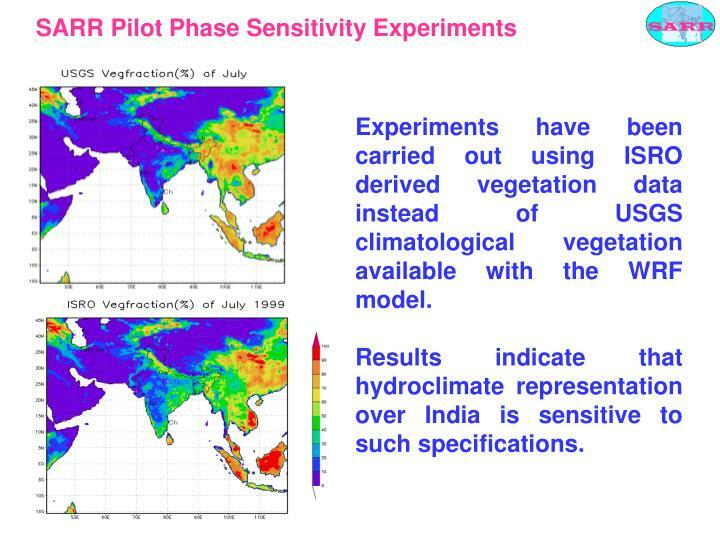 Experiments have been carried out using ISRO derived vegetation data instead of USGS climatological vegetation available with the WRF model. 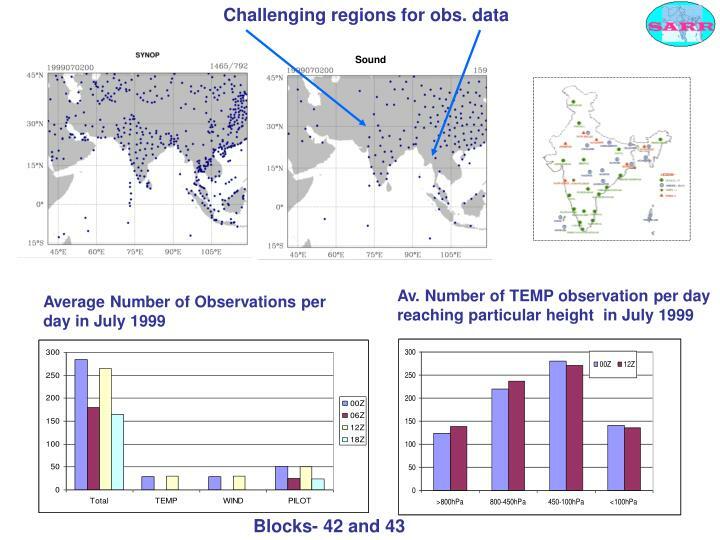 Results indicate that hydroclimate representation over India is sensitive to such specifications. 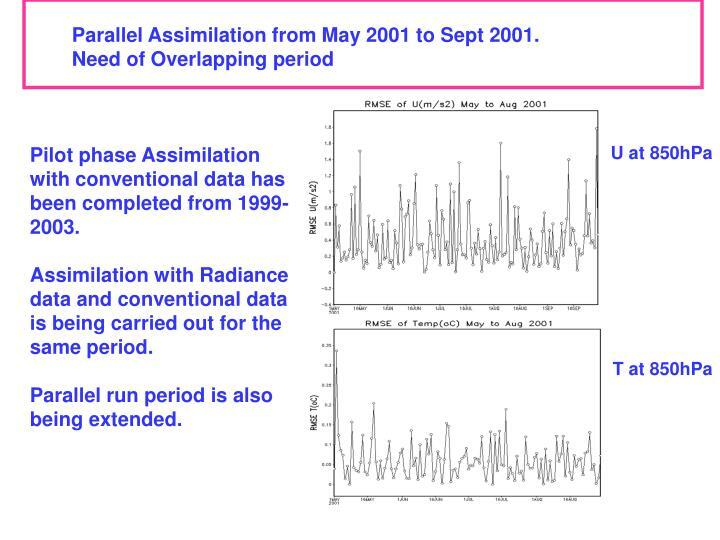 Parallel Assimilation from May 2001 to Sept 2001. 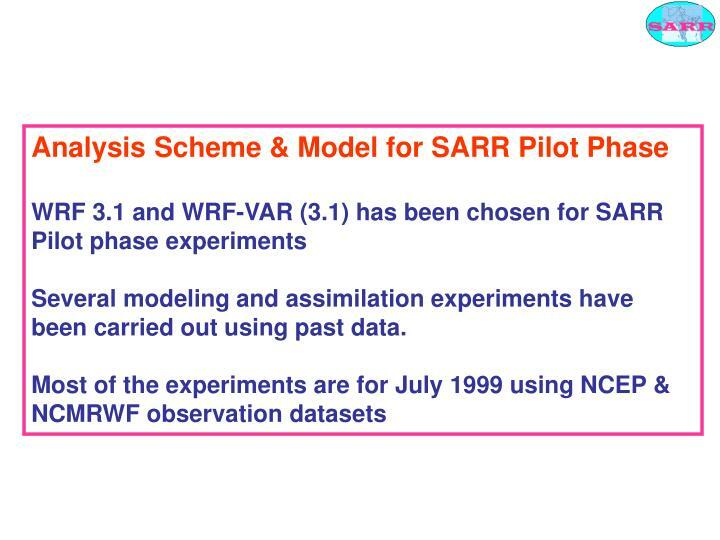 Pilot phase Assimilation with conventional data has been completed from 1999-2003. 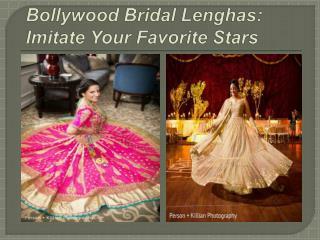 Assimilation with Radiance data and conventional data is being carried out for the same period. 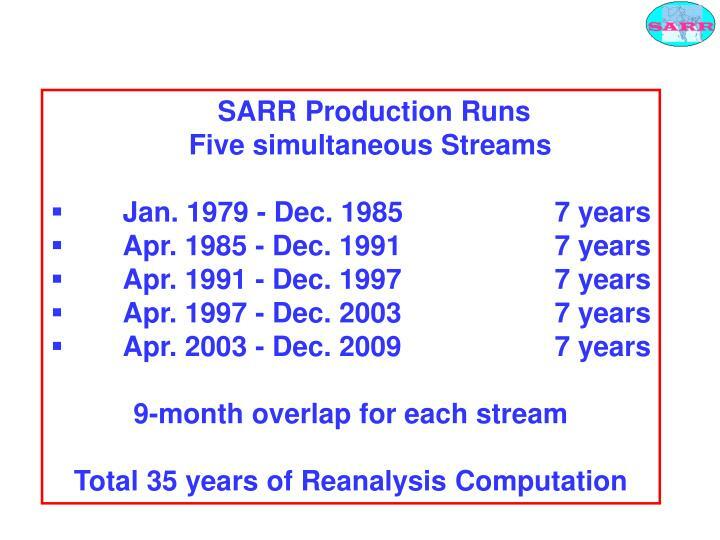 Parallel run period is also being extended. 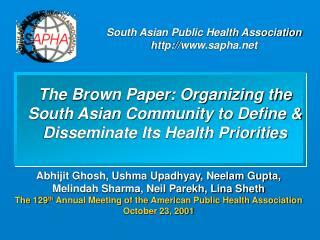 climate studies in South Asia. 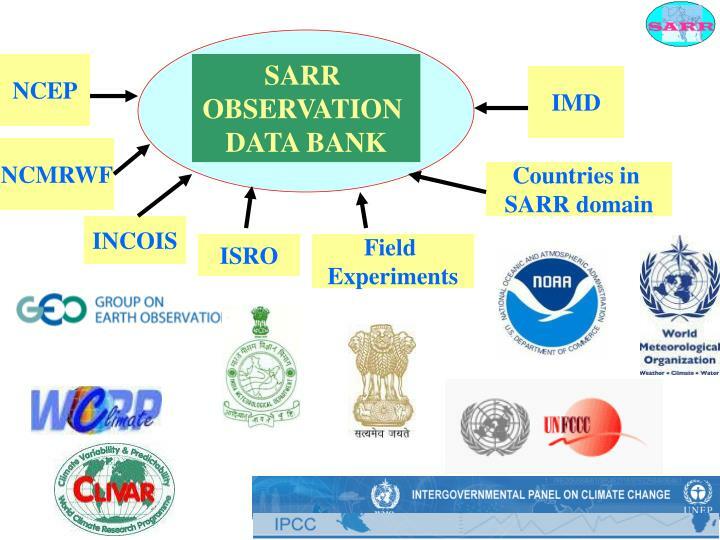 The objective of the study is to evaluate the impact of the different back ground errors (Global and Regional) towards simulation of four Monsoon Depressions (MDs) over Indian region during SARR pilot phase period. 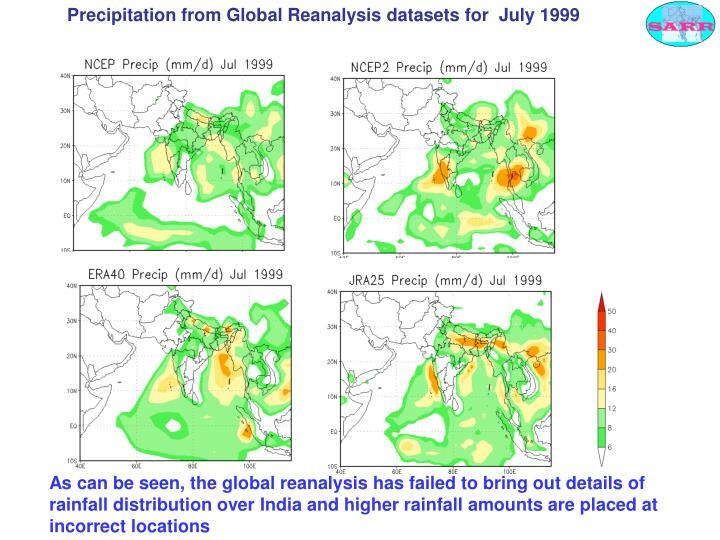 CNTL: Without data assimilation using NCEP re-	analyses as IC and BC. 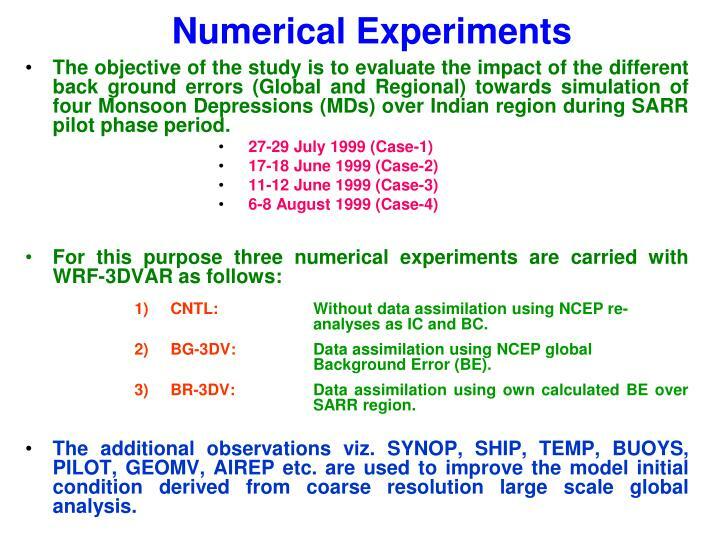 BG-3DV:	Data assimilation using NCEP global Background Error (BE). 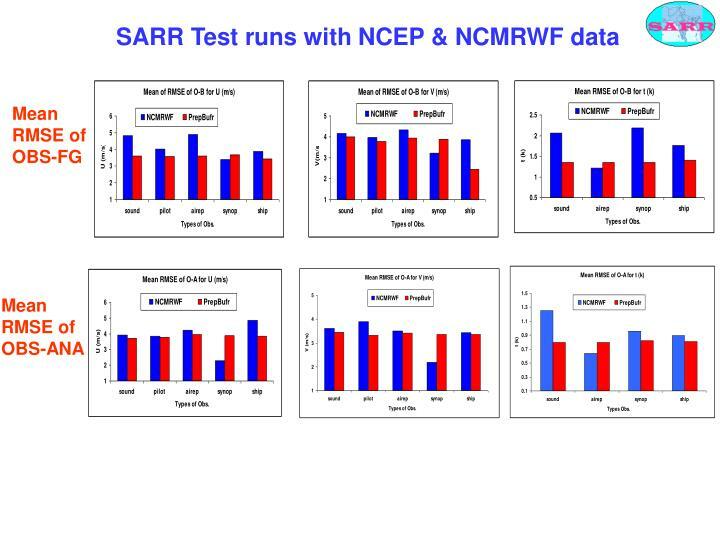 3) BR-3DV:	Data assimilation using own calculated BE over SARR region. 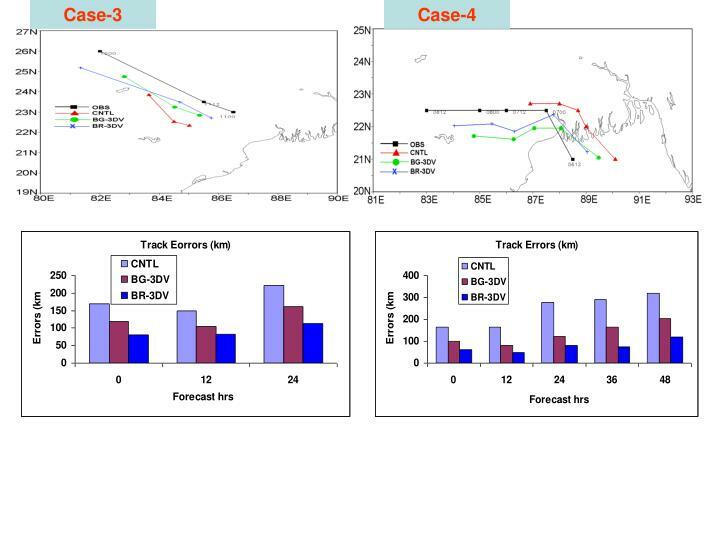 The additional observations viz. 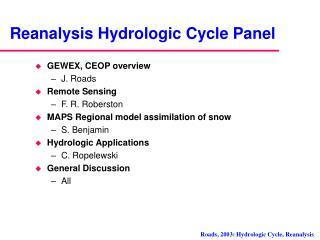 SYNOP, SHIP, TEMP, BUOYS, PILOT, GEOMV, AIREP etc. 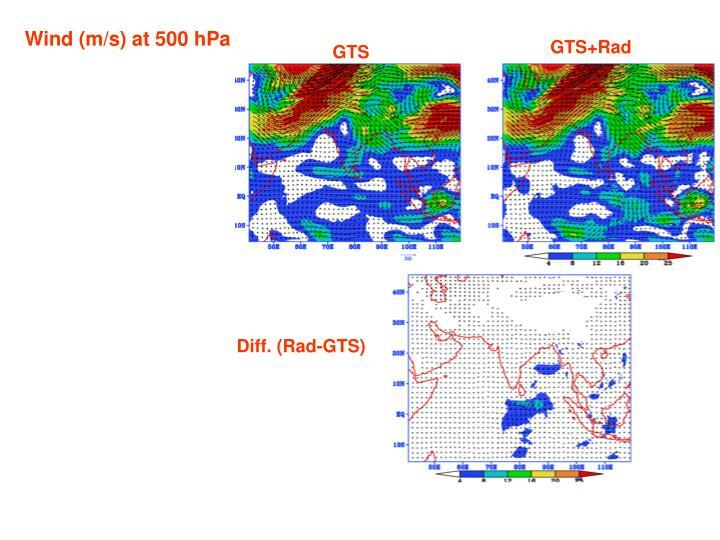 are used to improve the model initial condition derived from coarse resolution large scale global analysis. 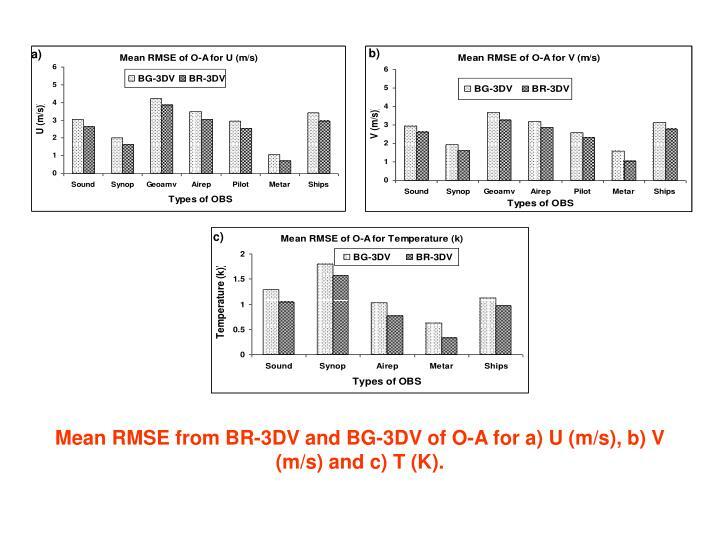 Mean RMSE from BR-3DV and BG-3DV of O-A for a) U (m/s), b) V (m/s) and c) T (K). 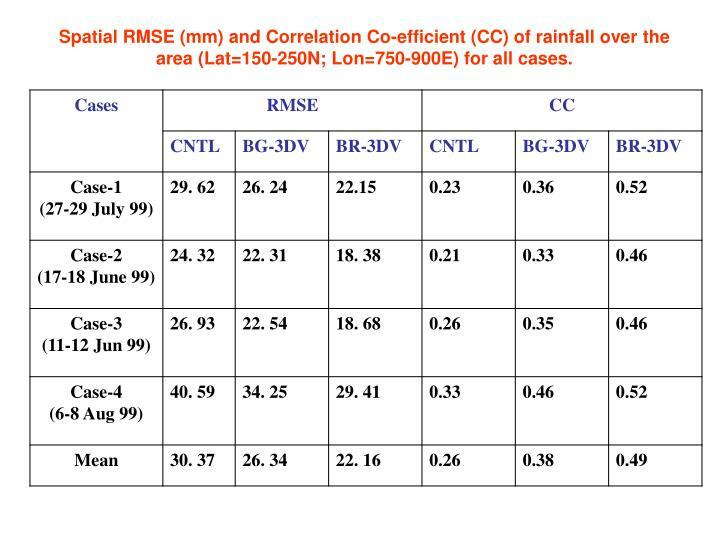 Spatial RMSE (mm) and Correlation Co-efficient (CC) of rainfall over the area (Lat=150-250N; Lon=750-900E) for all cases. 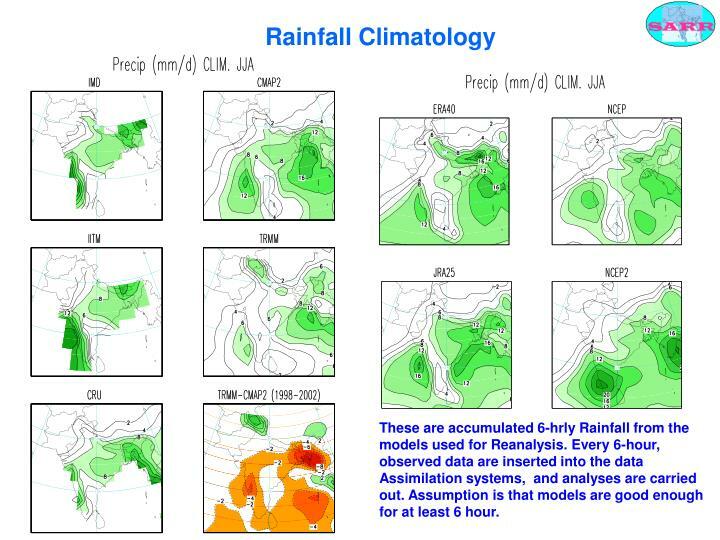 These are accumulated 6-hrly Rainfall from the models used for Reanalysis. 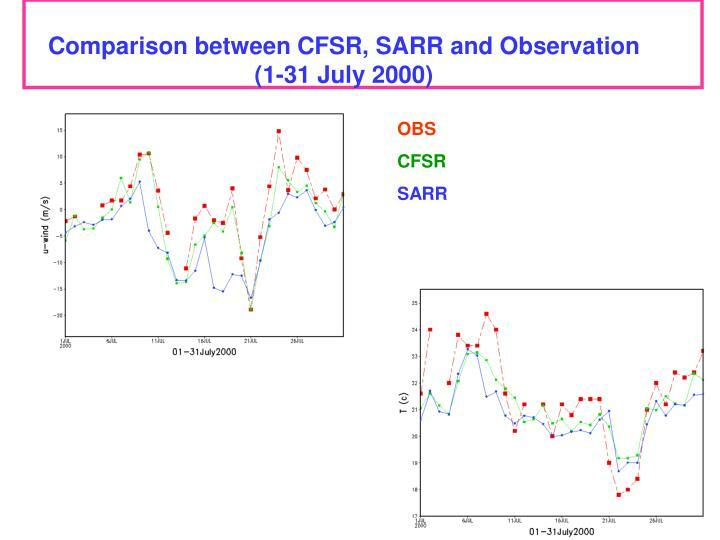 Every 6-hour, observed data are inserted into the data Assimilation systems, and analyses are carried out. 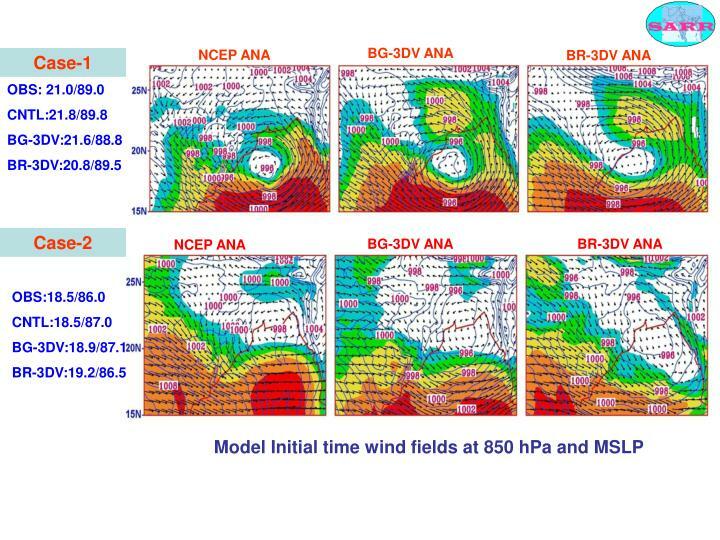 Assumption is that models are good enough for at least 6 hour. 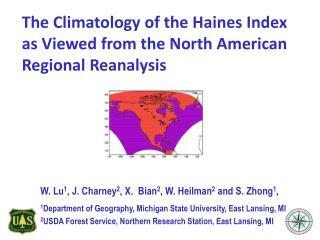 These studies show there are large uncertainties in the Global Reanalysis data over our Region. 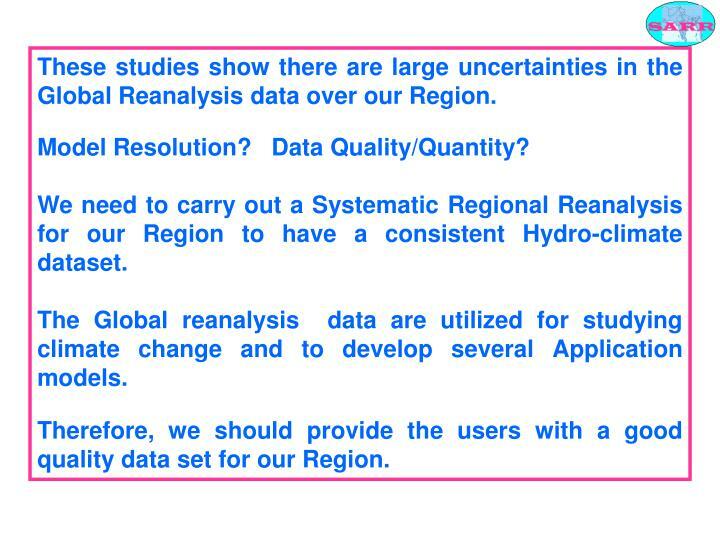 We need to carry out a Systematic Regional Reanalysis for our Region to have a consistent Hydro-climate dataset. 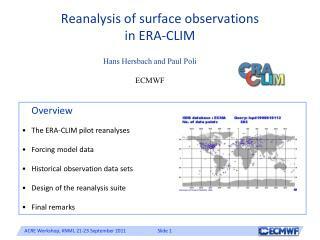 The Global reanalysis data are utilized for studying climate change and to develop several Application models. 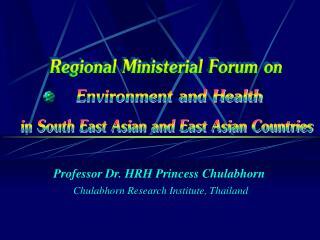 Therefore, we should provide the users with a good quality data set for our Region. 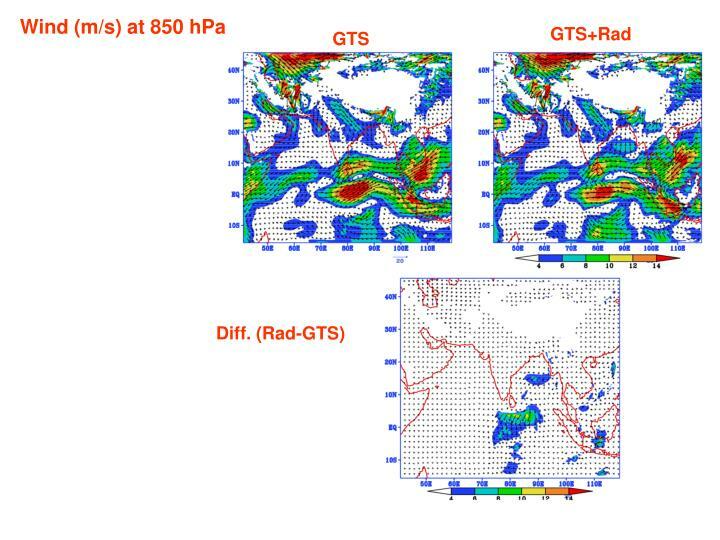 A large part of tropical forecast errors can be represented by equatorial waves. 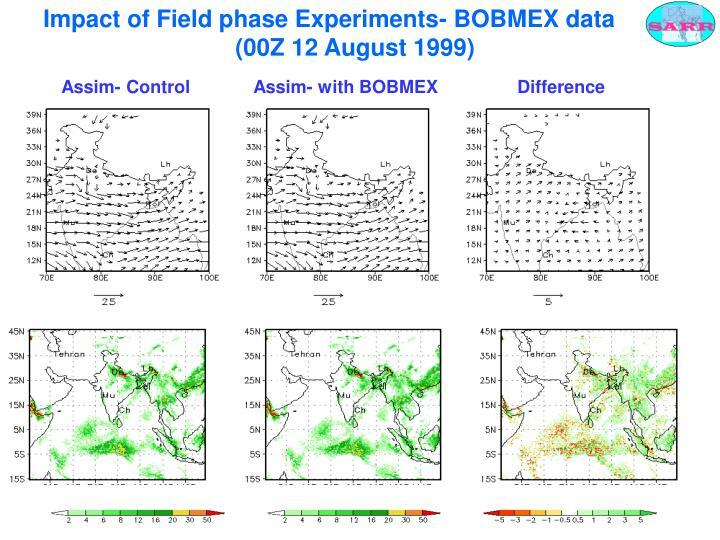 These modes effectively reduce the mass/wind coupling at the equator. 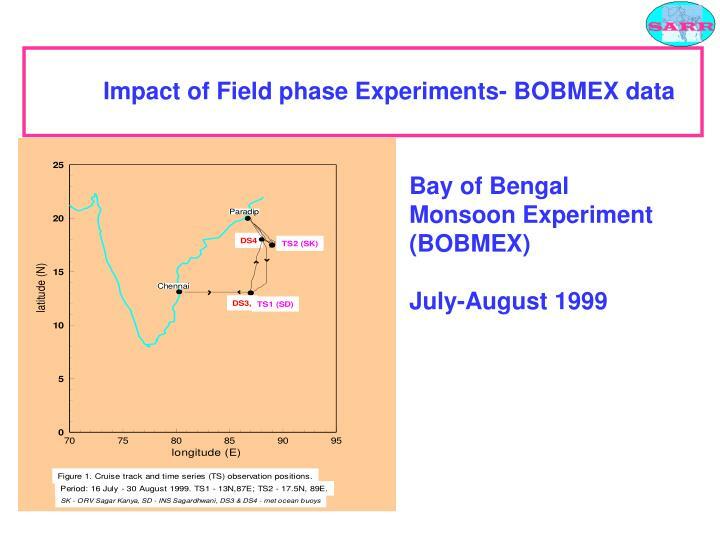 Daley (1996) has noted that equatorial error covariance is weaker than higher latitude and similar to that obtained by equatorial beta plane theory. 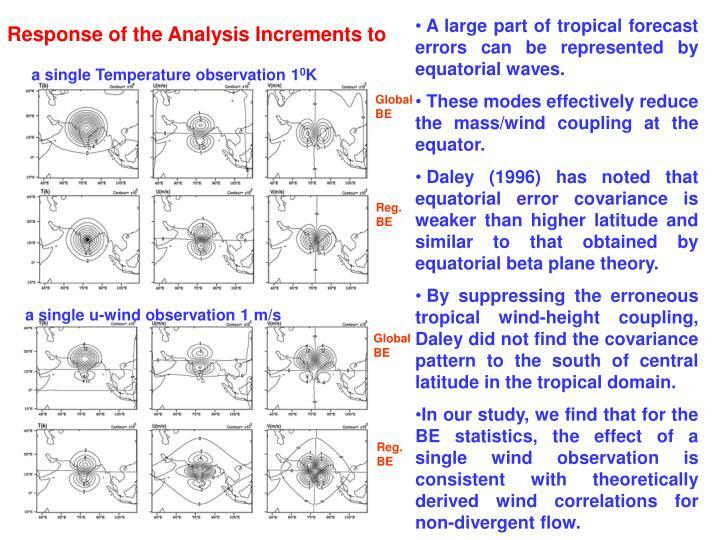 By suppressing the erroneous tropical wind-height coupling, Daley did not find the covariance pattern to the south of central latitude in the tropical domain. 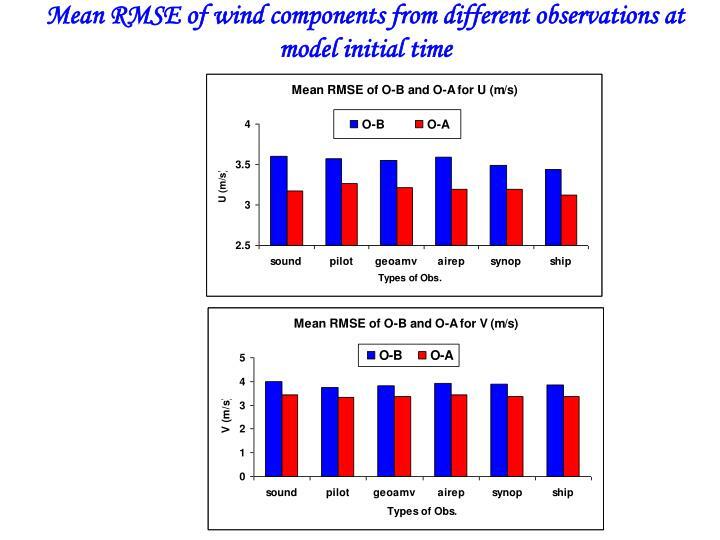 In our study, we find that for the BE statistics, the effect of a single wind observation is consistent with theoretically derived wind correlations for non-divergent flow. 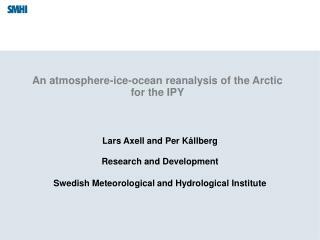 An atmosphere-ice-ocean reanalysis of the Arctic for the IPY -Lars axell and per kållberg research and development swedish meteorological and hydrological institute. 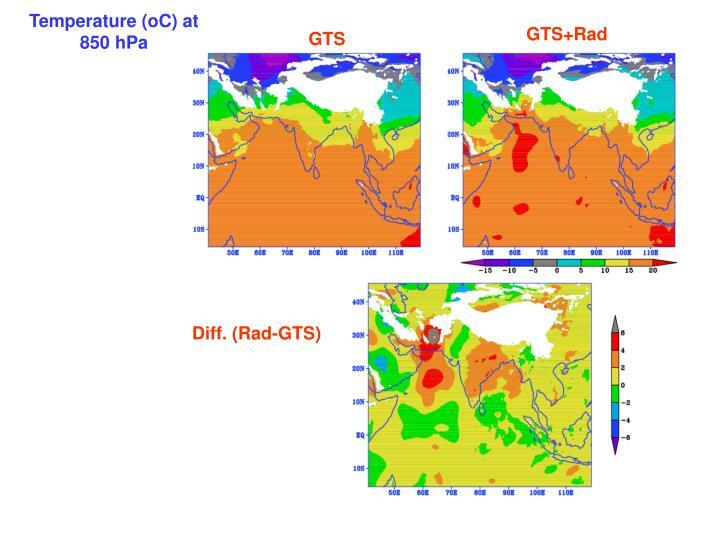 an atmosphere-ice-ocean reanalysis of the arctic for the ipy. outline. 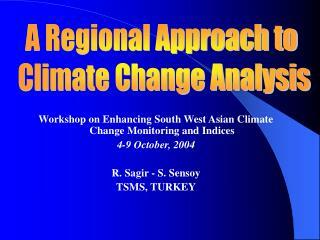 Workshop on Enhancing South West Asian Climate Change Monitoring and Indices 4-9 October, 2004 -A regional approach to climate change analysis. 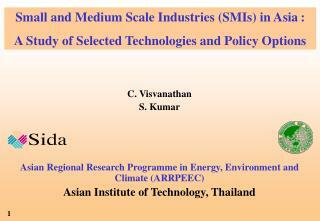 workshop on enhancing south west asian climate change monitoring and indices 4-9 october, 2004 r.
C. Visvanathan S. Kumar Asian Regional Research Programme in Energy, Environment and Climate (ARRPEEC) Asian Institute o -Small and medium scale industries (smis) in asia : a study of selected technologies and policy options. 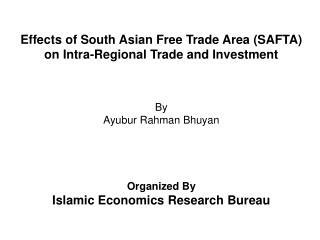 c. visvanathan s.
Effects of South Asian Free Trade Area (SAFTA) on Intra-Regional Trade and Investment -. by ayubur rahman bhuyan. 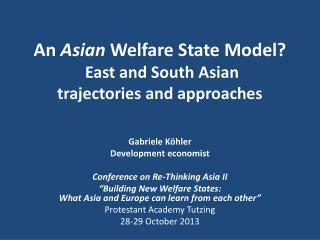 organized by islamic economics research bureau.